Everyone loves to sail with Captain Jack Sparrow or Hector Barbossa which is why pirate themes have been extremely popular among uk online slot players too. But choosing the right slot machine is always a quandary as every slot machine seems to have similar features. Therefore we decided to create a list of the Best Pirate Themed Slots so that you can decide which slot machines you prefer to play without going through much trouble. Our staff played almost every pirate themed slot machine available online, and listed them in the order of their awesomeness, so to say, depending on all major factors including the graphics, RTP, ease of play, rewards, features, and user experience. 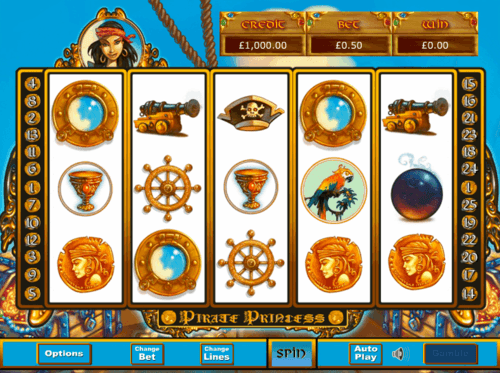 Take a look at the list and find your pirate themed slot with your favourite features and graphics. 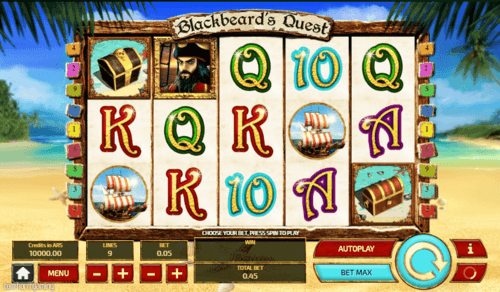 Blackbeards Quest slot game has landed and you are on the beach with him. Spin the reels to find what he has to offer you, and be ready to find the treasure chests everyone has been looking for. If you are still not convinced then think of the RTP of 98.2% this game offers you. 10 Free Spins that can be re-triggered at such a high RTP would be tempting enough but there are Wild symbols too. The highest value symbol carries a top multiplier of 1000x if you are lucky enough to land 5 of them. The smiley pirates would keep you engaged throughout this adventurous voyage as you enjoy the beauty of sea sailing on-board a pirate ship. The RTP of 95.79% is more than enough for an entertaining slot machine like this but the prizes are not less than impressive either. Coming with Wilds, Scatters, and Multipliers, Lucky Pirates uk slot game offers a minimum bet of £0.01 for the casual player playing for fun, and a maximum bet of £180 for the high roller who are after big wins. There are many other bet levels to choose as you wish. Pirate Princess slot has never been an all-male business to be a pirate. Sail with the Pirate Princess as she braves the seven seas, and land with some sizable treasure at the end of the voyage. Coming with 25 paylines and Free Spins. There is a Wild and a Scatter, and the RTP of 95% is a god number too. Although this game is all about entertainment, rewards will not disappoint you either. Take part in a pirate voyage through the space in this colourful slot machine that comes with great features. 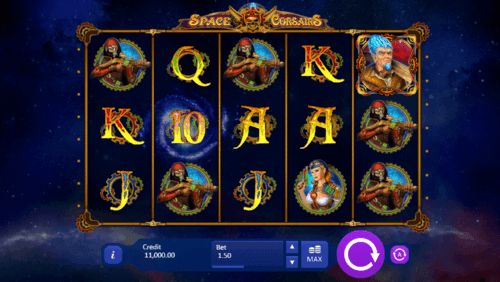 With 25 Free Games, a Wild symbol, and a Bonus Game, Space Corsairs online slot would offer you a pirate’s treasure at the end of your expedition. The Bonus Mini Game would invite you to click on planets that would reveal generous multipliers of up to 20x. And all of that at an impressive RTP of 96.01%. A minimum bet of £0.03 is there for the casual player who comes in for entertainment, but the ambitious high roller has a maximum bet of £75 if that is you. An introduction with a movie clip would enliven you to take up this adventure with the beautiful female pirate everyone fears. There are 4 betting strategies which is a feature of Elk Studios, and there are 3 Wild symbols to create different winning combinations. 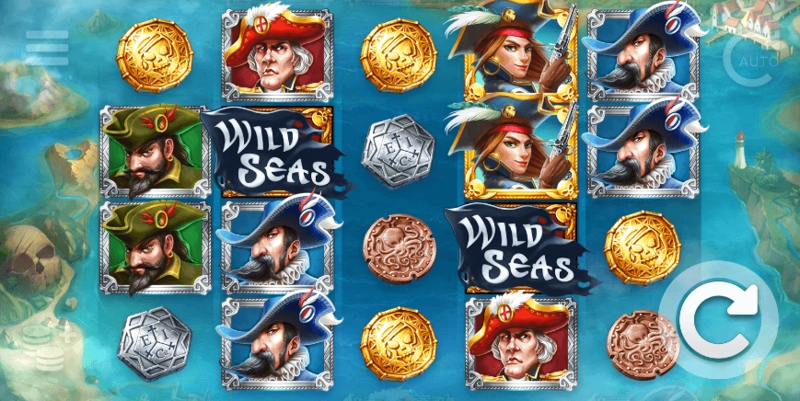 Sticky Wilds play a big part of the game, and the Wild Seas slot Bonus symbol activates the Bonus Game: Break the Convoy. A captain is selected as the opponent, and the pirate ship will be firing its cannons at random targets. If the shots hit treasure chest you will win whatever is in it, and if an explosive barrel is hit, that will end the game with an explosion. This action packed pirate slot machine has an impressive RTP of 96.3% and a maximum prize of 178,000 coins. We have ranked this game number 1 in our list of Best Pirate Themed Slots.